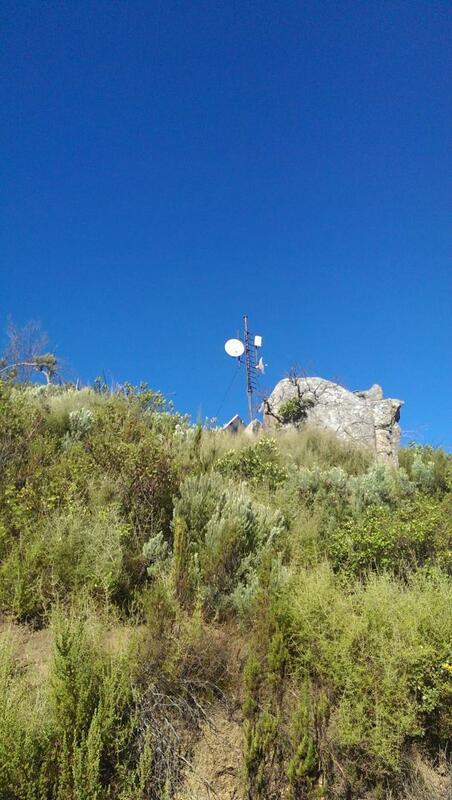 I have access to a high site in Paarl. I'm looking to share with the WUG if I can bounce signal off another high site. My high site is on the Dal Josaphat side (N/E) of Paarl. I'm looking for operators on the West. I've been emailing contacts from posts dating back to 2009, but no response yet. I am probably doing something wrong. If you are an active WUG member in Paarl, or you know of one, please make contact with me. Have you plotted your high site on WIND so that I can have a look? We must definitely start making some fire with the people there in Paarl to get you guys connected, I have also been looking around since I know people who live there that wants to connect. We must find people who can make long range BB links to Stellenbosch and Kraaifontein, maybe if we can find people in between on farms that are willing to connect or even just host some equipment, it doesn't help if we can get some people to donate some $$$ for equipment but we don't have any means of actually using it. I already have a site that we can use, Pegasus-systems #6261. We just need a way to get around the mountain, and a link back to the Cape. Hi guys, please keep me in the loop. We have two nodes in Noorder Paarl active and a high site in Wellington which links me in Windmeul to Paarl (at the moment the site is inactive due to theft, but I will get it running again if there is enough interest). Well it seems that Pegasus has fairly good LOS to dade, now we just need dade to maybe install a 5Ghz 27dBi Grid facing Pegasus so that we can start the testing and then plan a complete dish kit. Just update, dade will be turning a 27dBi grid to Pegasus when he gets his new SXT. I will organize a scan when this has happened. 24dbi grid aligned from my side to Pegasus-systems #6261! Thanks nemesiskfn for organizing the SXT so that we can free up the "paarl" interface. Thanks stiaanm for getting on the roof! and thanks Acidice for assisting. so werk die Kraaifontein manne saam! Getting to Paarl has been long time comming. Holding thumbs it works out great! Any updates on scans to Pegasus? Any news on this? I have managed to get a good high site spot in the Paarl which is also high up namely Denneburg (Jan Hofmeyer street to be exact). Have spoken to the owner and he have no issues of putting up equipment at his place or using his electricity...also the view is very good to the Noorder Paarl site actually you can see the whole Paarl from his place.Also have very good LOS to pegasus-system. 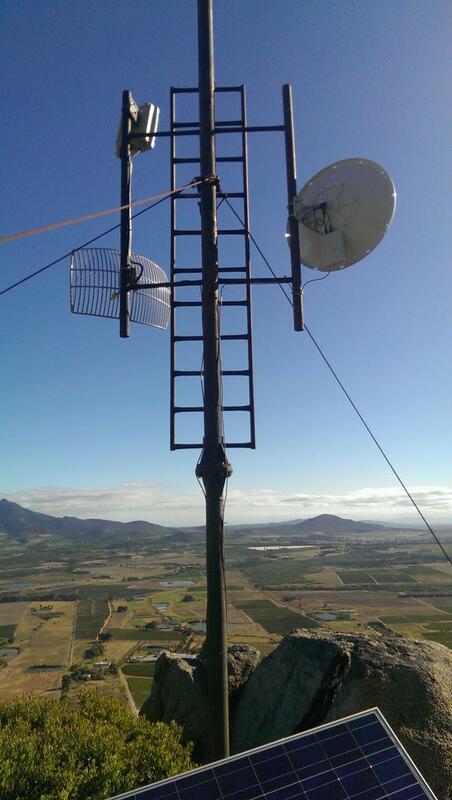 Stiaan ek sal die ou vra om te plot op wind...hy kan ook 15m tower kry vir die site..maar wat onnodig is want sy uitsig oor Paarl is goed. We picked up the pegasus site from Stiaanm, so we will be putting up a dual polarity dish at Pegasus when the WUG has some funds to do so. Looks like it will be in February. Then we can look for a relay site from there, I am open to anything. Awesome news! First Paarl site is live and connected to CTWUG. Its current node name is Eris (If you want to look on WIND), but will be changing to Olympus in the future. It's linking to Stiaanm with a dual MIMO dish. Next step is to get around the mountain, so please help us with some ideas. Had the Privilege to work with Diabolix today. He is a world class chap. Had a good time on Mt Olympus!